by Sara Thornton, a 2015 Judge K.K. Legett Fellow at the Washington Legal Foundation and a student at Texas Tech School of Law. 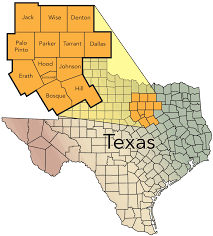 The state legislatures in Texas and Oklahoma recently enacted bills that expressly preempt any local ordinance that prohibits hydraulic fracturing, also called “fracing” or “fracking.” Texas Governor Greg Abbott signed Texas’s HB 40—intended as a direct response to the fracking ban in Denton, Texas—on May 18, 2015, and Oklahoma Governor Mary Fallin signed Oklahoma’s SB 809 on May 29, 2015. Although Denton’s ban received national media coverage—likely because of its location on the Barnett Shale—the city of Denton was not the first local government to attempt to extend its police power by imposing an outright ban on energy extraction. Localities across the country, in over 470 towns, cities, and counties—from Hawaii to New Mexico to West Virginia to New York—have attempted to skirt state authority by implementing local regulations that ban fracking, despite their lack of expertise in regulating the industry. Similarly, in State ex rel. Morrison v. Beck Energy Corp., the Ohio Supreme Court confirmed that five municipal laws were in contravention of Ohio Revised Code 1509 (O.R.C. 1509), which provides uniform, statewide rules on oil and gas operations. The court concluded that the laws were illegal because they effectively prohibited drilling, and drilling is expressly allowed under O.R.C. 1509. The decision, however, was limited to those five specific municipal laws, and neither the Ohio Legislature nor the Ohio Supreme Court has definitively ruled on the legality of municipal fracking bans. As a result, further litigation will doubtless ensue in Ohio. Instead of allowing state courts to decide the balance between state and local authority, the Texas and Oklahoma legislatures expressly banned local regulation on all drilling operations. Both bills should substantially reduce the amount of litigation because they provide a more definitive resolution to local government power plays. In a few short paragraphs, Texas’s HB 40 and Oklahoma’s SB 809 balance the states’ strong interest in fully exploiting all oil and gas resources with their interest in permitting municipalities to exercise authority on issues into which they have unique insights. In contrast to what local residents might believe, oil and gas production will still be regulated. These bills simply reaffirm the state agency as the sole regulator of oil and gas development, which “prevents a patchwork of inconsistent regulations across the state,” while still allowing municipalities to tailor local laws on the incidental effects of drilling to fit the specific needs of the community. Although the Oklahoma Legislature modeled its bill after Texas’s HB 40, key differences exist. HB 40’s clear language expressly preempts local ordinances that prohibit hydraulic fracturing—like the Denton frack ban—and any other local law that regulates underground production. HB 40 allows municipalities to enact “commercially reasonable” regulations that deal with concerns “above ground.” Oklahoma’s SB 809 allows municipalities to establish “reasonable” local legislation concerning issues “incidental to” oil and gas operations, with no mention of the above-ground-only requirement in Texas’s HB 40. Whether a fundamental difference in this use of language will exist in practice remains to be seen, but SB 809 leaves more room for argument as to what “incidental to” means, especially since the bill provides no definition. The most obvious contrast between the two bills is their difference in tone. Texas took a firmer approach, likely because the legislature intended to leave no room for lawyering in the context of the Denton ban. Oklahoma allows ordinances set by municipalities, counties, and “other political subdivisions” to overcome the presumption of invalidity, whereas Texas’s HB 40 allows only municipalities to attempt to overcome this presumption. Thus, Texas’s HB 40 packs a punch and completely deflates frack-ban hopefuls, while Oklahoma allows more flexibility and gives more local legislators a bite at the apple in overcoming the presumption. Overall, both laws take a giant step toward ending the grapple for control between local and state authority, and they erase a majority of the grey area that has existed in state preemption and home-rule authority issues surrounding local frack bans. While Oklahoma’s bill creates more certainty than the decisions in Pennsylvania and Ohio, only Texas’s stronger approach ensures that local governments are fully aware of their limits. States still wrestling with this matter and wanting a definitive solution should follow suit.